I chose this film almost as an afterthought because it fit my schedule. I am glad that I picked it up, as it turned out to be less of a standard crime drama and more of a fascinating character study with a bit of a twist. 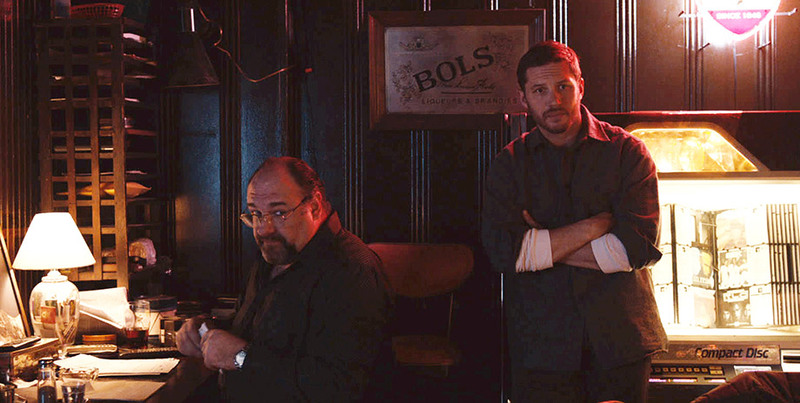 A bartender named Bob (Tom Hardy) is a quiet man who just works to get by. No big dreams or high ambitions, and he’s happy to be left alone. But outside forces conspire to drag him back into a world he thought he’d left behind. It’s a plot about which I would prefer to say little, as while the twists are not on the level of say Usual Suspects, they are better experienced as they unfold. Director Michaël R. Roskam explained that with his neo-noir he wanted a story that keeps you guessing, with the tone and emotion ever changing and ambiguous. In his first foray into an English-language production he said he wanted to invoke the feeling of Frank Capra directing Taxi Driver. Musical cues were used and abused to keep you off-balance and uncertain if you were meant to laugh or feel dread, and every scene involved an upset to the balance of power between characters. The plot I found ran a little heavy on the back of coincidence, but it wasn’t so egregious that it took me out of the story too much. Noomi Rapace is doing quite well for herself in Hollywood, fortunately unscathed by Prometheus (though she is also signed on for its sequel…). Having seen her portray the unstoppable Lisbeth Salander it was a but off seeing her play a Helpless Female, but every noir film needs its Femme Fatale, and she managed to give the character of Nadia some humanity and dimension. 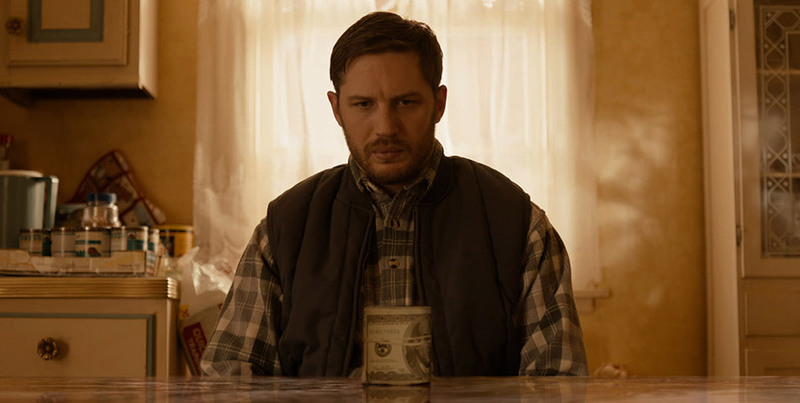 Tom Hardy was phenomenal as Bob, bringing to life a character that is so subdued that in the hands of a lesser performer could have come across as flat. Tom’s physical presence was so different, so withdrawn and steady that it was hard to see in him the dazzling thief of Inception and the brutal powerhouse that was Bane. He made Bob feel real, and sympathetic despite the action that unfolds. I can see a Best Actor nomination headed his way. James Gandofini’s role as Cousin Marv was a supporting one, but he was perfectly cast and it is sad to know that it is the last new film of his that will come out. Director Roskam explained that he was in the process of editing The Drop when Gandolfini passed, and that the goodbye process was made that much harder. He was afraid of cutting away any precious moments of the man’s screentime, but also didn’t want to overuse him to the detriment of the story and come across as exploitative. I think he struck a good balance, and the performance shared with us in The Drop was a worthy send-off.